“OUR” has optimum expertise and infrastructure to ensure distribution and delivery of Courier & Logistics, be it anything and anywhere. “OUR” assures professional & efficient distribution of consignments. Our highly efficient and well-experienced team is always available for assistance to provide customers with efficient consultation and services so that they have a hassle-free Courier & Logistics experience. “OUR” follows a continuous innovation and evolutions process to optimise and deliver best of the services that meet customers current and future needs. “OUR” Clientele ranges across various business verticals covering sectors like manufacturing, construction, IT etc. “OUR” provides excellent solutions for the E-Commerce business and has the capacity for seamless integration with their delivery process. Custom solutions are available for our corporate customers to suite their service requirements and an efficient Management information system (MIS) is at their disposal which delivers timely automated reports to keep a track of their large number of shipments effortlessly. “OUR” distribution management undertakes all the responsibility for your logistics distribution from your warehouse to anywhere in India as per the required time, by our specialized personnel. 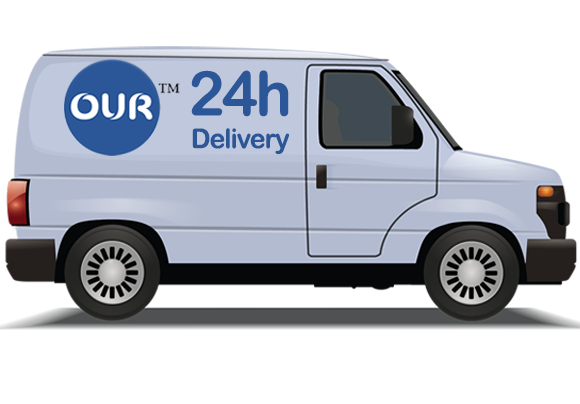 “OUR” Priority : Consignments are delivered within 24 (twenty-four) working hours of booking. This service is available at selected locations only. “OUR” ODA: A special service where consignments are delivered to remote areas, hence ODA – “Out of Delivery Area”. You book and we deliver. It’s Our Courier & Logistics Services. Real-time tracking and tracing facility through “OUR” Web portal & Mobile App. Door-to-Door Pick Up & Delivery. Technology to backup Hassle Free Operations. “OUR” valued customers' constant trust in us has evolved into our growth. This trust is “OUR” business asset which has been acquired by offering uncompromising services and adopting an innovative approach throughout the journey. With a natural thirst to its growth endeavors, “OUR” is in the continuous process of developing a large scale integrated Logistics wings to offer an entire spectrum of Warehousing, Inventory Management, Supply Chain Services and Distribution Channels, hence evolving into a total end-to end solution provider to its clients. Keeping in pace with the day to day advancements, “OUR” sincerely continues to invest substantially in building a robust technology backbone. Our commitment to corporate excellence and its desire for making it a common household name opens immense opportunities and challenges in the road ahead. With continuous improvement and enhancement, “OUR” thrives to reach the zenith and beyond.